The word Canada is not mentioned in the Bible. But the ancestors of the Canadians are. Which people in the Bible did the Anglo-Saxon Canadians descend from? Do Jewish sources teach that the Canadians descended from Ephraim or Joseph? What do biblical prophecies teach will happen to those people? Were they promised physical blessings? When did those blessings get realized? What about punishments? Will Canada be hit by more terrorism? Does Canada endorse aspects of biblical censorship? Does God have a 6000/7000 year plan that will affect Canada? Will Canada one day be taken over and many of its surviving people made slaves? Will Canada and the USA turn against each other? Are there Catholic and other prophecies outside the Bible that may come to pass? Why is Canada subject to punishment–and by who? What does Canada need to do? Dr. Thiel addresses these issues and more. Here is a link to the sermon: Canada in Prophecy. 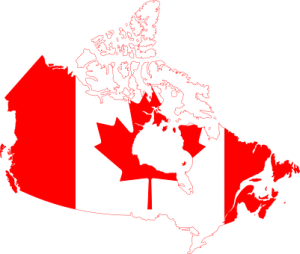 Canada in Prophecy: What Does Bible Prophecy, Catholic Prophecy, and other Predictions Suggest About the Future of Canada? There are prophecies that suggest involvement with Canada. And many are not positive about its future. A sermon of related interest is also available: Canada in Prophecy. CCOG.ORG Continuing Church of God The group striving to be most faithful amongst all real Christian groups to the word of God. There are links to literature is about 100 different languages there. To see how CCOG has done so far, here are links to two sermons Continuing Church of God (CCOG) first year anniversary: What has been accomplished? and CCOG: Four Years Revealing Philadelphia? Here is a written link to a version of that first sermon in the Spanish language: Aniversario del primer año de la Continuación de la Iglesia de Dios: ¿Qué se ha cumplido?